Headed to the Cogne Ice Opening, a weekend festival to celebrate the start of the ice-climbing season, bringing everyone with an interest in this sport to the valley of Cogne, Italy. 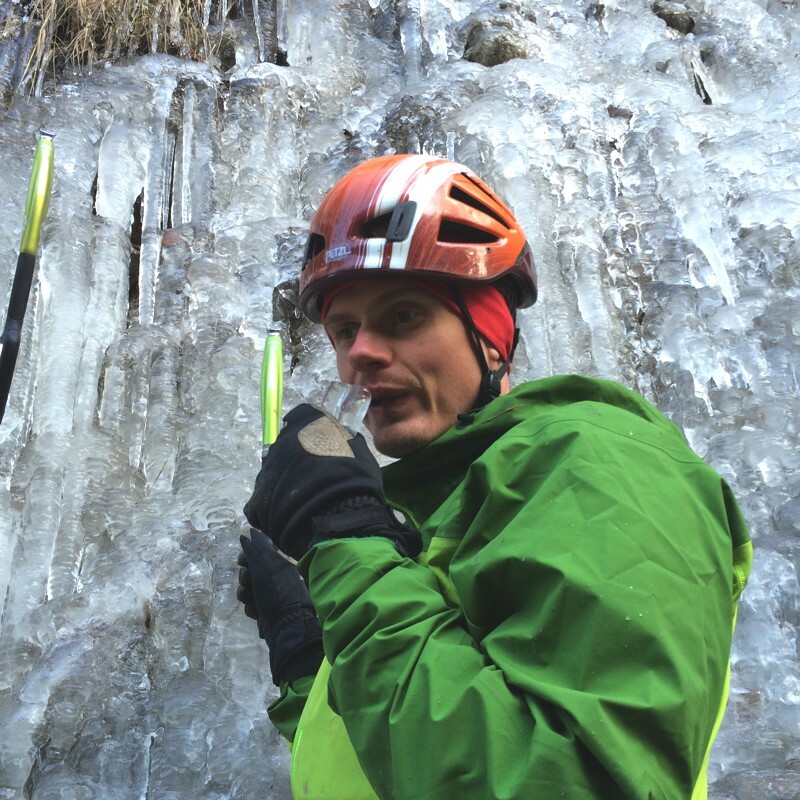 Offering a chance to meet and climb with likeminded souls, try out new kit, watch adventure films and learn from professional ice climbers in a supportive environment. We drove through the Mont Blanc tunnel and an hour later pulled into a little village called Lillaz, nestled right at the end of the Val di Cogne. The sun was rising as we arrived and it looked beautiful with the promise of adventure in the air. I love Cogne and it holds great memories for us, as a year prior we were there for Charley’s Birthday. The Cogne Ice Opening is run by leading mountain sports brands Arcteryx,Black Diamond, La Sportiva and Suunto and specifically their internationally renowned climbers; Tanja Schmitt and Heike Schmitt and Matthias Scherer. Didn't stop us having fun though! Charley and Patrick set up a top rope, meaning we could climb the ice whilst belaying each other on a rope secured to a tree at the top of the climbs, thus making the risk of taking a fall a lot safer to manage. My overiding memory of the day is of having fun and meeting great people. 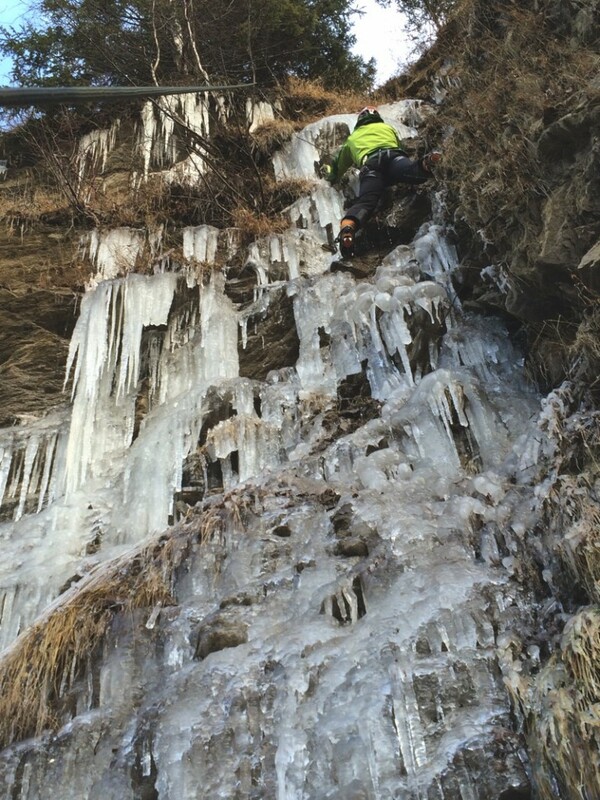 Although the climbs were Grade IV, the set up of them meant they didn’t feel overly commiting and provided us with a perfect opportunity to get the feeling for ice climbing flowing through us again and practise it in a relatively controlled environment. The other people in our group were lovely and we chatted away in between routes. With our passion for the mountains providing common ground, there were plenty of stories to share. It felt quite strange climbing frozen rock next to a flowing river but I loved the beauty of where we were. When the sun found it’s way to us, it warmed my fingers and toes and I stopped to look around and take it all in. I couldn’t help but think about how much life has changed over the past few years. The last festival I remember going to was Glade, a dance music festival in Reading. Now I was at an ice climbing festival in Italy. Charley and I were testing out a bunch of kit from Arcteryx and Black Diamond. Stinger crampons from Black Diamond, Fusion ice axes also from Black Diamond and the Arcteryx Alphacomp jacket a very light and flexible jacket. 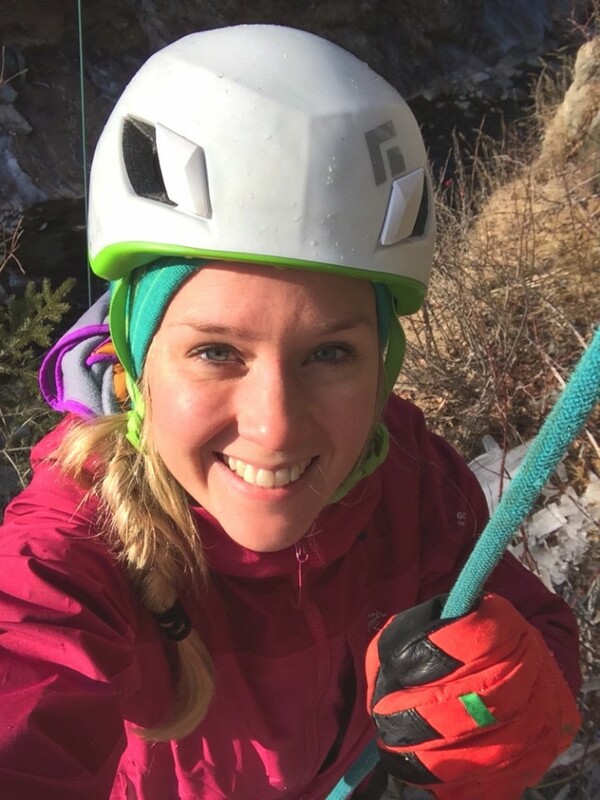 Of course I love trying out new kit but it was the first time I’d used kit tailored towards the sport of ice climbing rather than the general mountaineering ice axes and crampons I use. The jacket was amazing, so flexible without carrying extra weight, pretty ideal for ice climbing on a day like that. With it being the start of the season the ice climbs were not fully formed, so by 2pm we had used the best of it and decided to head back to the festival village and for hot chocolate. 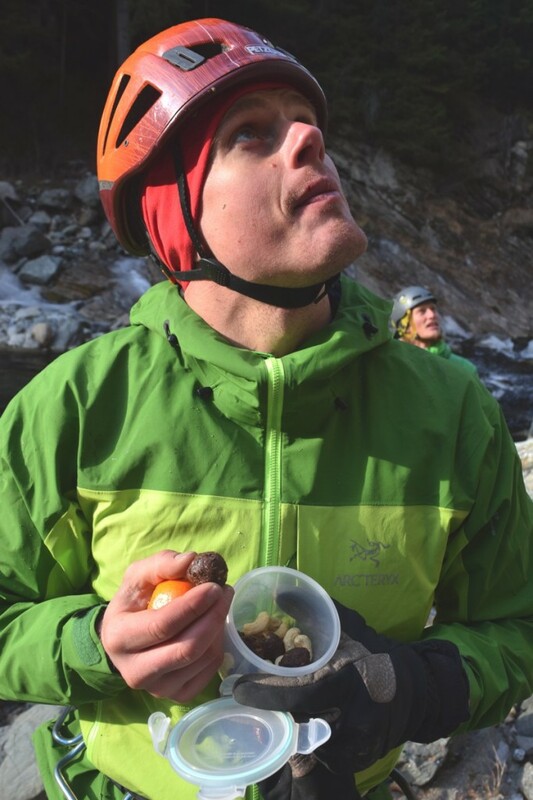 One thing I must tell you about ice climbing in Italy, it’s really all about the hot chocolate at the end of the day! If I'm lucky, I might get to stop for Italian pizza on the way home too… this time we went straight back to Chamonix as we had a Christmas party to go to. I’ll save the pizza trip for another blog post though. 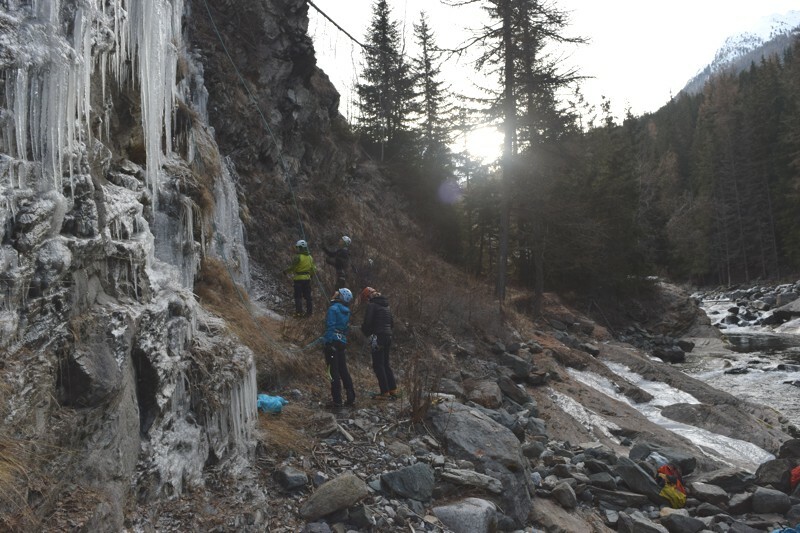 Cogne Ice Festival welcomes people of all abilities and tailors the sessions around your level of experience and what you want to get out of it. It also has women only sessions where you can learn from the best of the best; Tanja and Heike. Huge thanks to Tanja, Heike and Matthias for putting on such a great festival, I’ve already blocked out those dates in my diary for next year! Hope some of you join us!